The Days of Johann, an agility dog! : Our Raise a Green Dog blog's new mascot! Our Raise a Green Dog blog's new mascot! If you haven't been over to our Raise a Green Dog blog lately, there's big news over there. We've been looking for a while now to find just the right dog to be our representative, be the face of our Raise a Green Dog site, and be our happy, healthy and environmentally conscious mascot. Well, we finally found him. 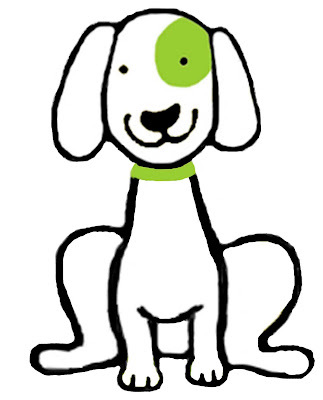 Head on over there and meet Eco, our newly crowned mascot for Raise A Green Dog! Eco lives the life of a Green Dog, and you can learn all about how he does it. And the big news is, Eco has his own line of Raise a Green Dog merchandise. You can get super cool t-shirts, mugs, dog bowls, dog tees, sweatshirts, and more, that say cool things like "I'm a Green Dog," "My Best Friend is a Green Dog," and lot more! If you want to go straight to where the Raise a Green Dog merchandise is, you can visit my CafePress shop or my Zazzle shop!